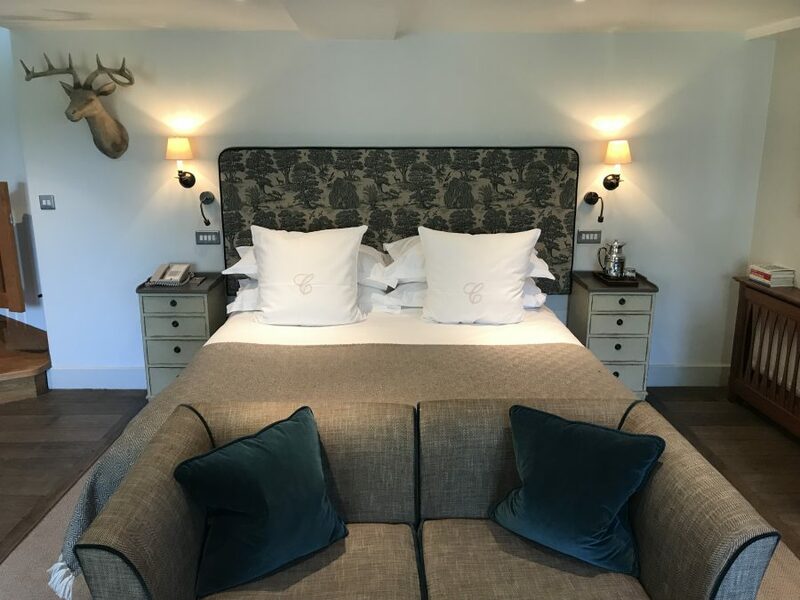 Part of the Calcot Collection, which consists of 7 hotels, restaurants and pubs across the UK, Calcot Manor is the jewel in their crown. 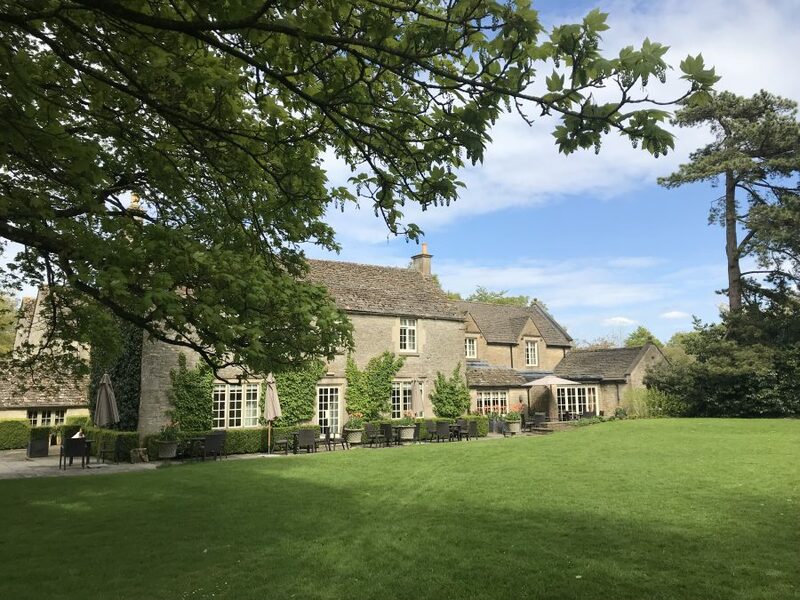 Sprawled across 220 acres of Cotswolds meadowland it truly is a stunning place. 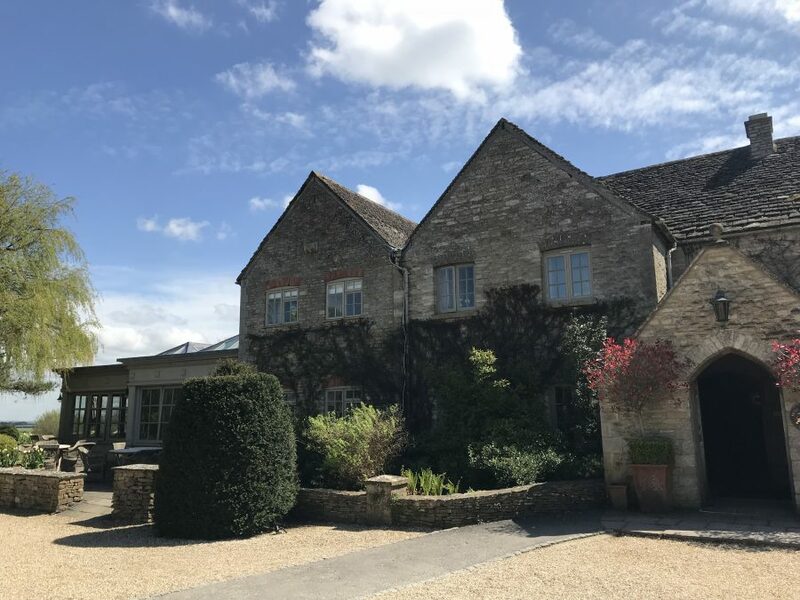 Our one night stay is in a Large Family Suite called The Woodchester and although we arrive child-less, I imagine it’s the perfect space for a couple and their sprogs. The best bit is the upstairs bathroom which takes up the entire floor of the apartment. 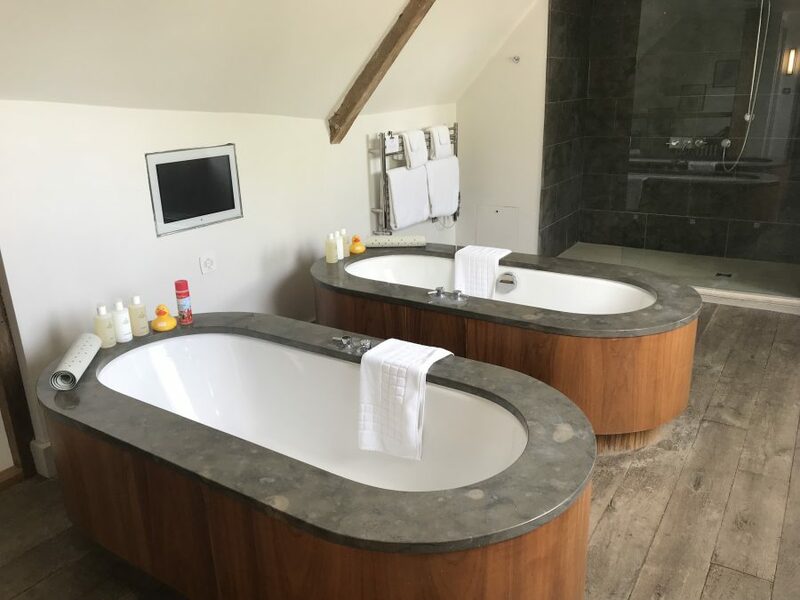 There are two baths which is super luxurious. To top it off, there’s a TV in the wall meaning you can watch Cash in the Attic while having a soak. Which we do, naturally. The walk in shower is huge, big enough for a rugby team, and then some. 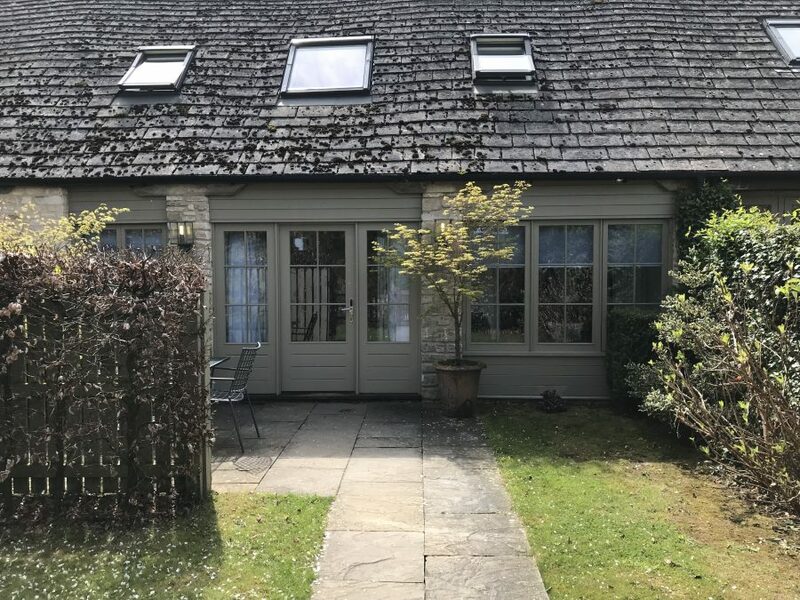 As you brush your teeth (two sinks of course) you have views over the grounds and countryside beyond. Downstairs there’s a king size bed with a sofa at the end which looks out onto the private patio. With the low ceiling and one off pieces of furniture it has cosy-cabin-vibes galore. 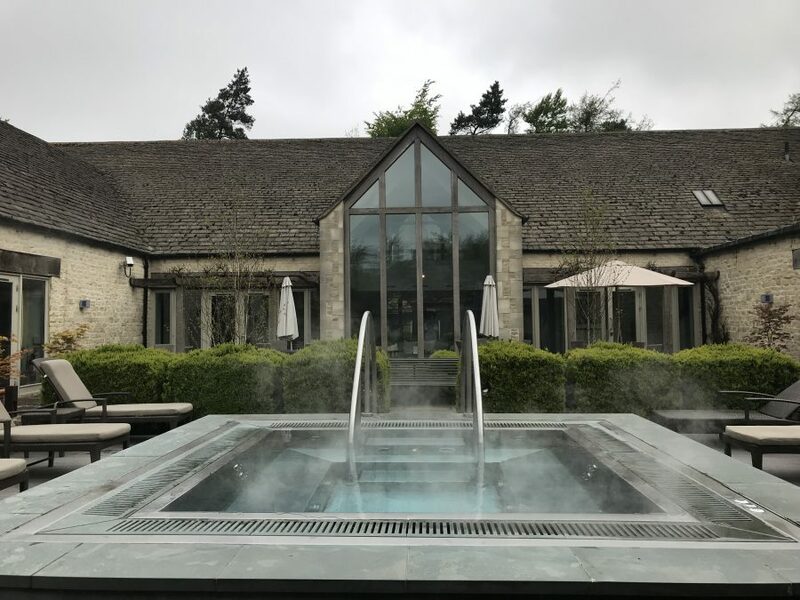 We arrive early to make use of the spa – a real highlight at Calcot. 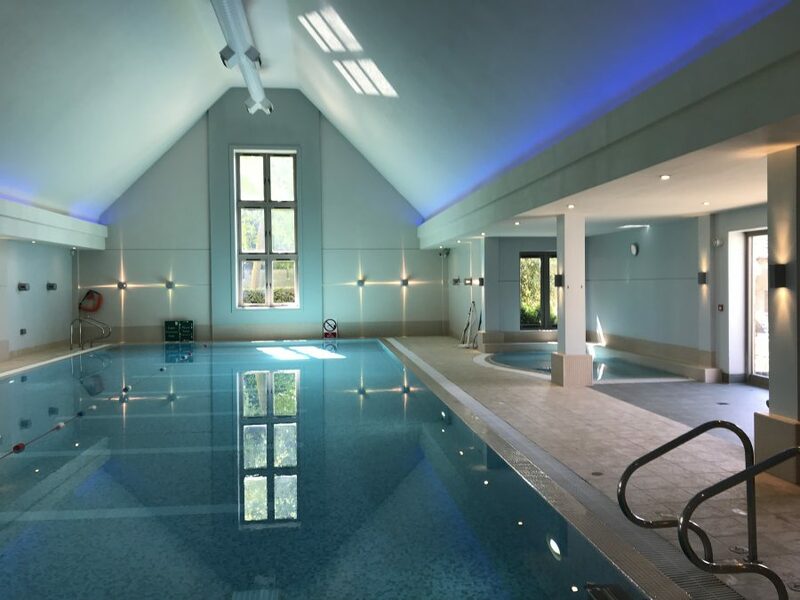 A large indoor pool is great for lengths but it’s the outdoor jacuzzi besides the log fire where we spend the most time. It’s a gorgeous set up. Before dinner we visit their on-site pub, The Gumstool Inn, for a pint of Guinness. It’s heaving with monied locals. 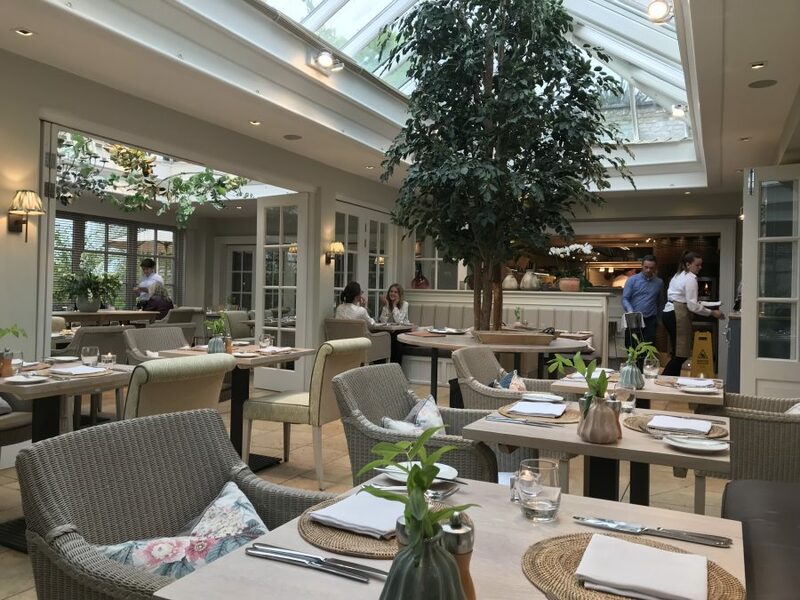 The main restaurant, The Conservatory, is as you might have guessed in a conservatory. It’s bright and airy and filled with plants. 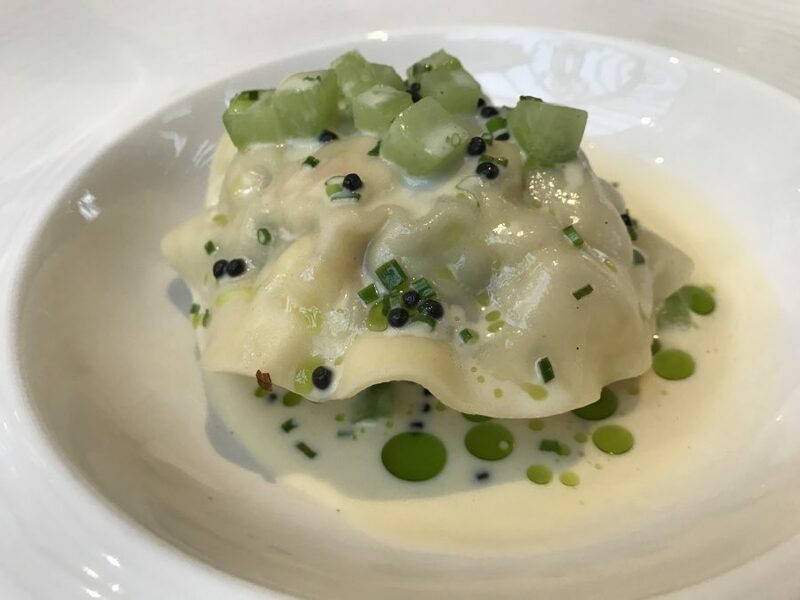 To start, a giant raviolo filled to the brim with king prawn (£16) pairs fresh cucumber with rich caviar brilliantly. Off-piste is the addition of vanilla – usually more pudding than pasta – but it really works. Organic beef tartare (£15) is far more ordinary but that’s no bad thing. 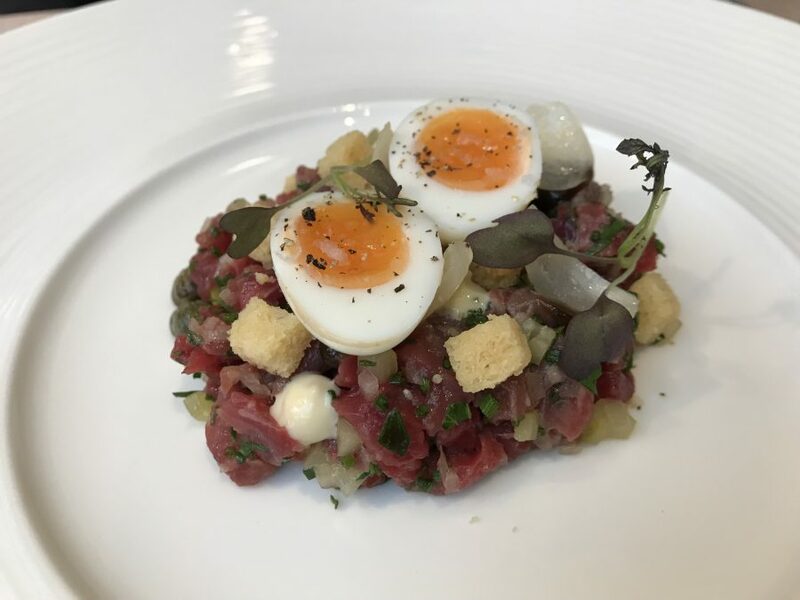 The coarse chunks of beef with a smokey charcoal emulsion, pickled shallots and soft boiled quail eggs make for a perfect mouthful. 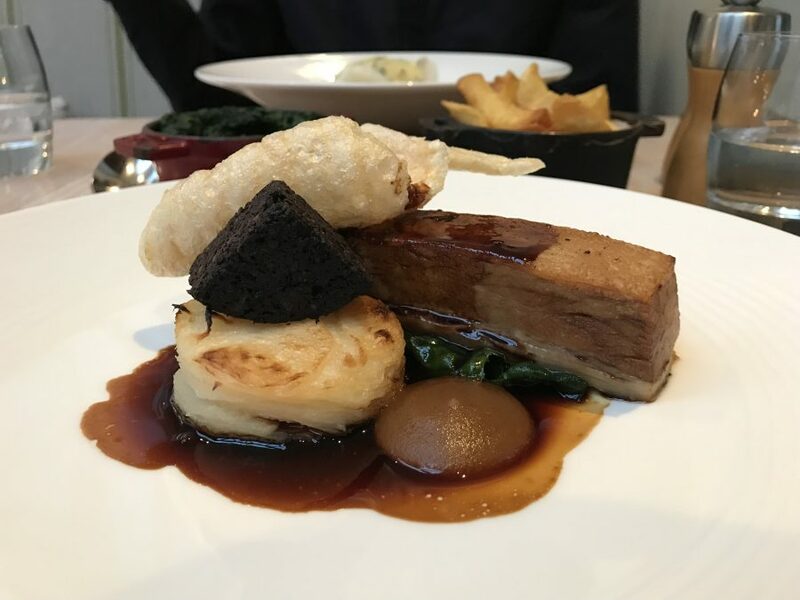 For main, pork belly (£29) is cooked for 48 hours; the result is tender, tender, tender. Stornaway black pudding adds to the indulgence along with a pork crackling puff as light as a Quaver. 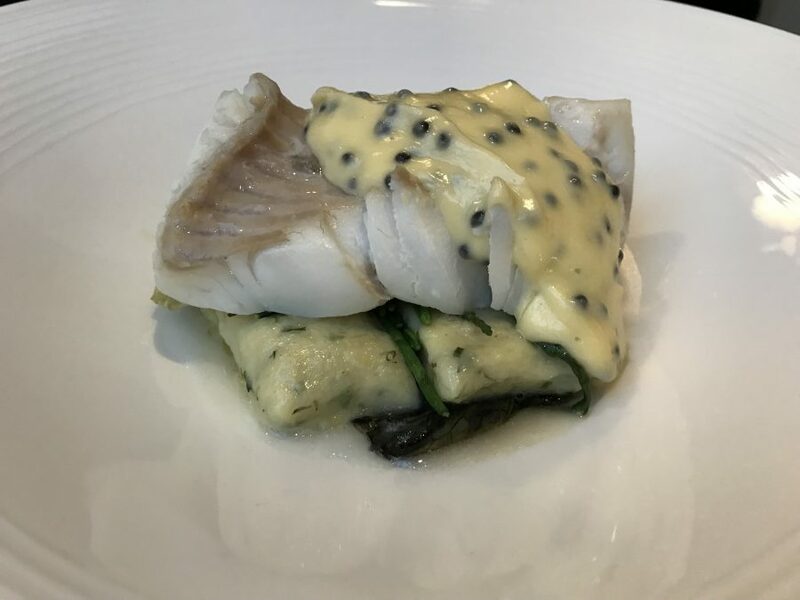 Less successful is line caught Cornish turbot (£30). The fish is cooked to a decent standard but it sits in a puddle of water, probably from the mushy herb gnocchi. A very decent caviar hollandaise curdles in the water which is a shame. 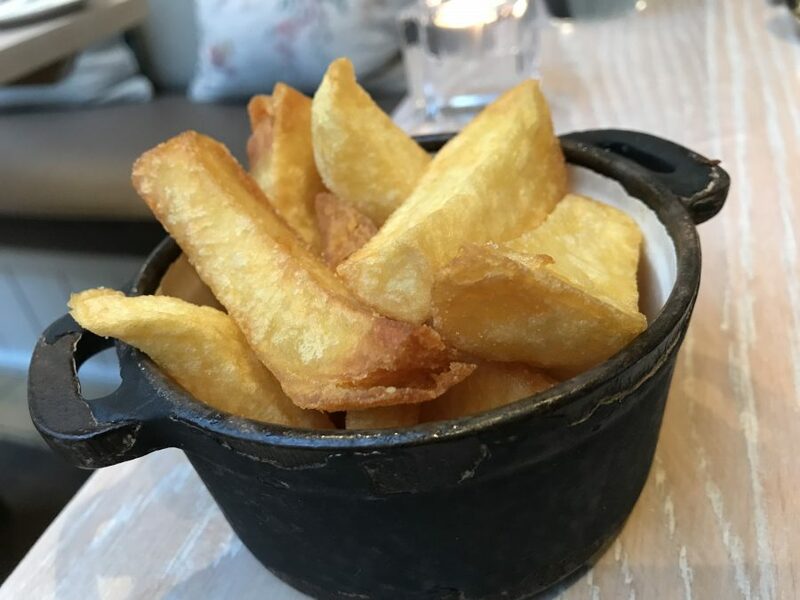 Chips (£4.50) have been given the attention and love that ensures a crisp outside and fluffy inside. They are chip perfection. Breakfast the next day is served in the same place. 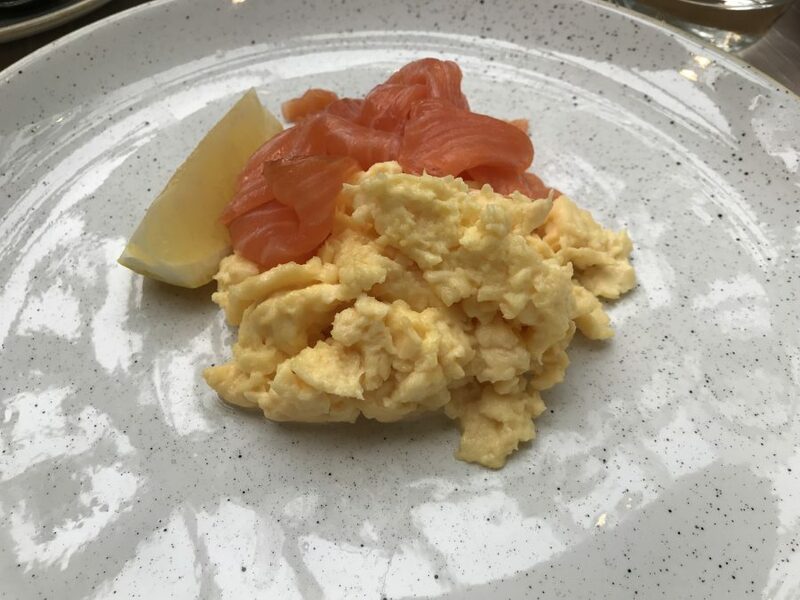 Salmon and scrambled eggs, from Sherston Farm, is a simple classic. 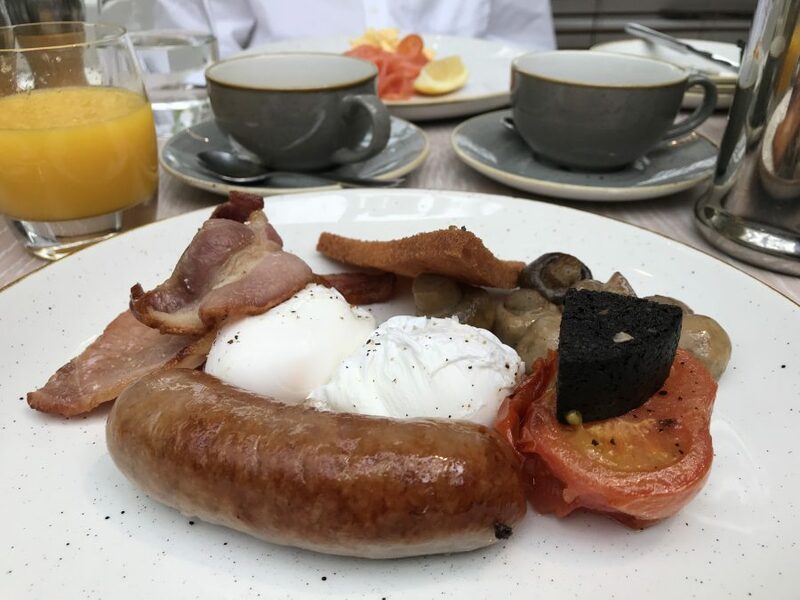 A Full English has all the usual suspects; smoked bacon, sausage, tomato, black pudding and fried bread. I LOVE FRIED BREAD! 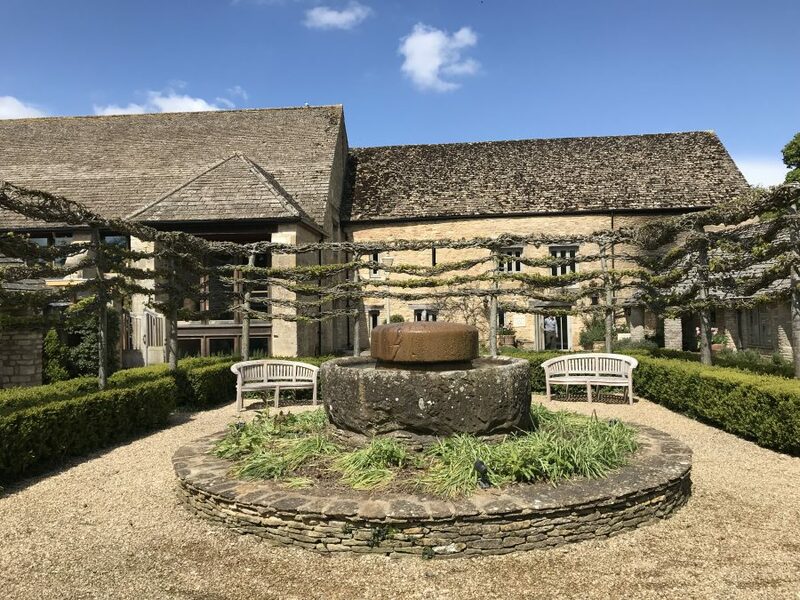 Calcot Manor is a very special place and it’s the perfect getaway for a night or two. On our drive back to London we detour via Bristol for lunch at Michelin starred Paco Tapas. 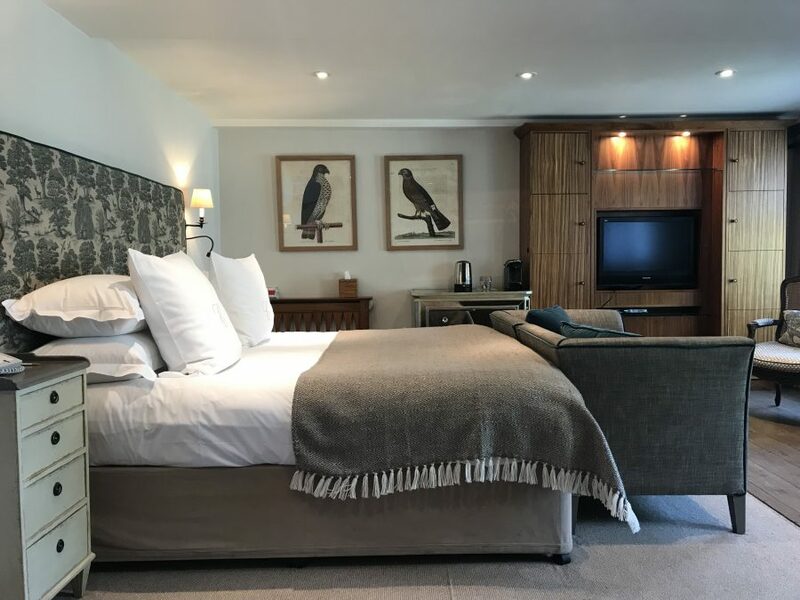 It’s the perfect end to a perfect trip – both come thoroughly recommended.